Good Morning! Happy Halloween Week! I know my kids are looking forward to this weekend. I'm just happy we gain an hour. Let's just get into the challenge because it is going to be a fun one. Welcome to my Masquerade Halloween Party! In order to attend this party, you need to take an item and dress it up in costume. It can be Halloween theme, but if you're not into Halloween, you are more than welcome to use an Autumn theme or whatever you choose. And for your inspiration and viewing pleasure, let's see what the design team did to share with you. Up first we have Joni's band-aid tin dressed up in Inktegrity's very adorable Frankenstein costume. As Joni said, she knows band-aid tins very well - with 6 children in the house, I'm sure she can take stock in Johnson & Johnson. 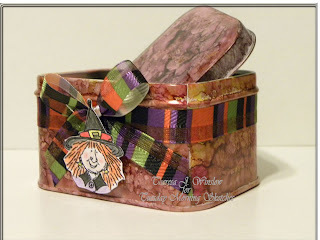 Here's Theresa's coffee tin all decked out in a pretty dress of alcohol inks that's been accessorized with fun ribbon and witchy pendant. 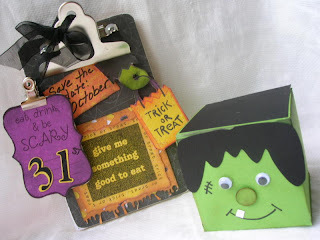 Fill this happy little box with tricks or treats and yummy sweets. The adorable witch image is from CTMH. Tammy brought another tin to the party. Is this super cute or what!? 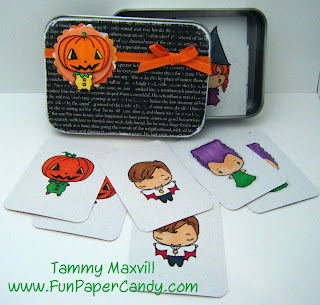 She created a memory match game and dressed up a card tin to match. Her images are from The Greeting Farm. Shelly brought two guests the party. First up her mini clip board is ready to add decor to anyplace it sits. It's full of texture, oooey-goooey touches and lots of sentiments. Her other friend is a really cute Frankie goodie box. 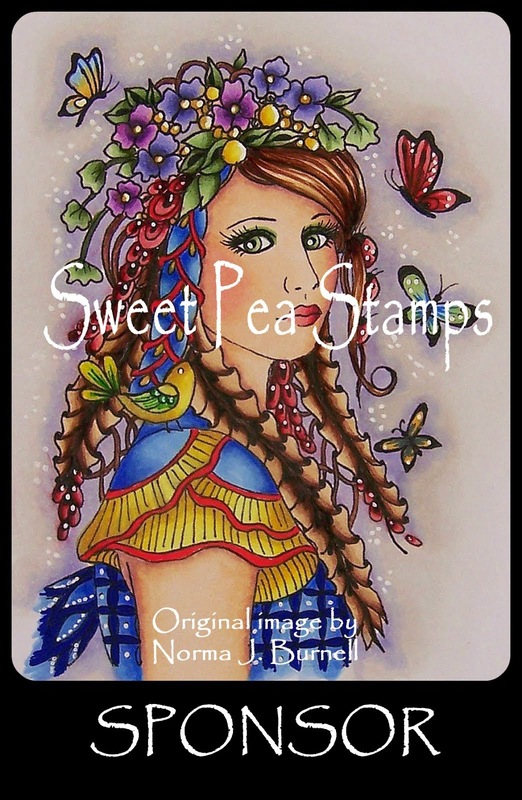 This is also Shelly's last week for her Guest Designer spot - I want to say THANK YOU for being so wonderful and I look forward to having you still play along! And my guest is a mosaic tile tray ($1.99 at Michaels) that is all dressed up for a fun Halloween themed picture frame. This is for my mom that I'll give her after Halloween when I have pictures of the kids in their costumes. 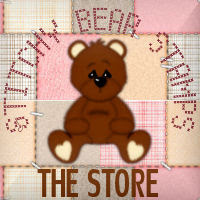 The images are from Lindsay's Stamp Stuff. So go pull out your treasures that have been waiting for you to alter! Post them and then come right back here to link them up directly in Mr. Linky. Again, you do not have to use a Halloween theme to enter. It must be an altered item though. Have fun doing this - we can't wait to see what you do with this challenge. 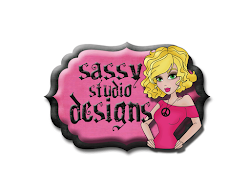 Also, the call is still open for a Guest Designer for December. If you're interested, put DGD behind your name when you link up in Mr. Linky. I'll be making a decision very soon. Wahoo! These are awesome if I may say so. I love everything in this line-up. How fun are these projects?! This is the kind of candy I want for Halloween! Fabulous projects Ladies!! Love them all!! This is sooo fun! I just realized I never remembered to post my project for last week's sketch. Ack! I'm such a dork. 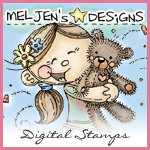 Can it count to dress up a particular stamp on a card?? 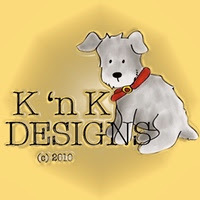 =) I just left my link--see whatcha think? I showed up for your Halloween Party, hope it's Spooky enough for you. And oh my, I forgot to add "DGD" in my Linky, should I add my entry properly once more, or would this post do the job? Well, since it's after Halloween when I got to do your challenge, mine is dressed up for a birthday party! Thanks for the fun! Well done everyone! This challenge is now closed. We'll see you here tomorrow morning for the winner and sponsor announcements.